Get the advanced knowledge you need to take the next step in your nursing career with CU’s affordable RN to BSN online program. Take advantage of Reduced Tuition. Get your RN-BSN for under $14,000. 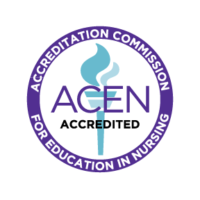 Campbellsville’s ACEN-accredited RN to BSN online program provides busy registered nurses the opportunity to continue their education and advance their career. Students can acquire an advanced understanding of patient care and further develop their nursing skills to prepare for management opportunities. 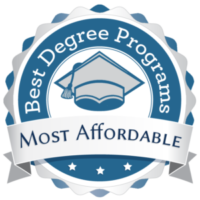 You will also explore areas including healthcare reform and advances in medical technology in this Top 50 ranked RN-BSN program from Best College Reviews. Through the online RN to BSN, students will explore a wide range of nursing topics. Courses cover medical and surgical nursing, pharmacology, gerontology nursing, social statistics and maternal-child nursing. There are also three guided electives students can choose from: contemporary healthcare management, health economics and financial management in healthcare. Nursing is a fast-growing and competitive field. A BSN can provide nurses that extra edge in terms of candidacy, especially as many hospitals prefer nurses with a bachelor’s degree. A BSN can also serve as a stepping-stone for nurses who wish to later pursue a master’s in nursing. Nurses can work toward leadership roles in the field or seek non-hospital opportunities, such as case management or even teaching. Campbellsville’s RN to BSN online degree allows nurses to complete coursework during their hectic schedule, without the need to commute to campus. While the program is accredited by the Accreditation Commission for Education in Nursing (ACEN), Campbellsville University is additionally accredited by the Southern Association of Colleges and Schools Commission on Colleges (SACSCOC). Campbellsville’s RN to BSN online program consists of 79 total credit hours, 39 of which can be transferred from a previous ADN or diploma program. Forty-one credit hours of general education courses are additionally required, making a total of 120 credits for the program. Students seeking RN to BSN that do not matriculate from the CU ADN Program may apply for the RN to BSN online program if they have completed an associate degree or diploma program for registered nursing and have a current, unencumbered license to practice nursing in their state of residence. Submit a copy of their RN license. The online RN to BSN costs $325 per credit hour. In order to help students afford their education, Campbellsville University’s staff is available to work with students to discover available financial aid options. There are several academic, performance and diversity scholarships available for RN to BSN students.